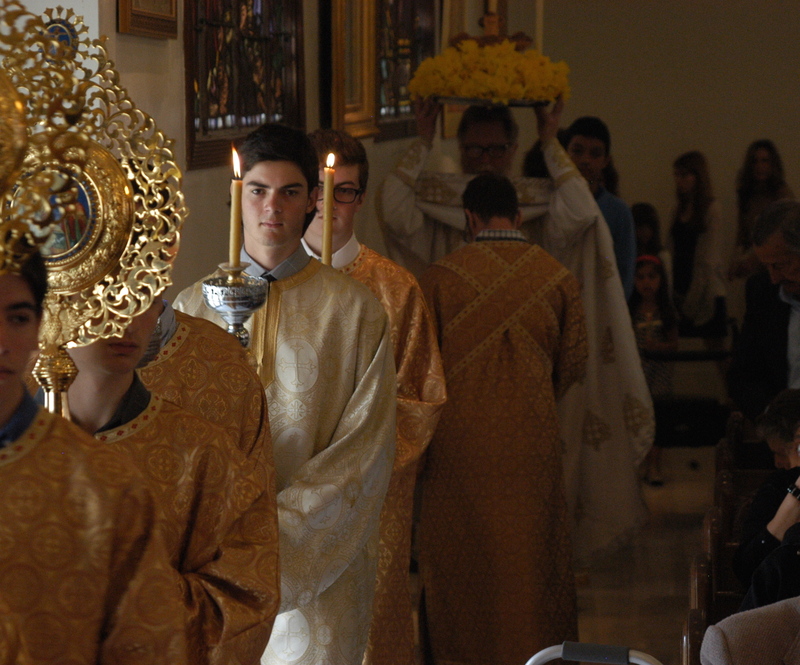 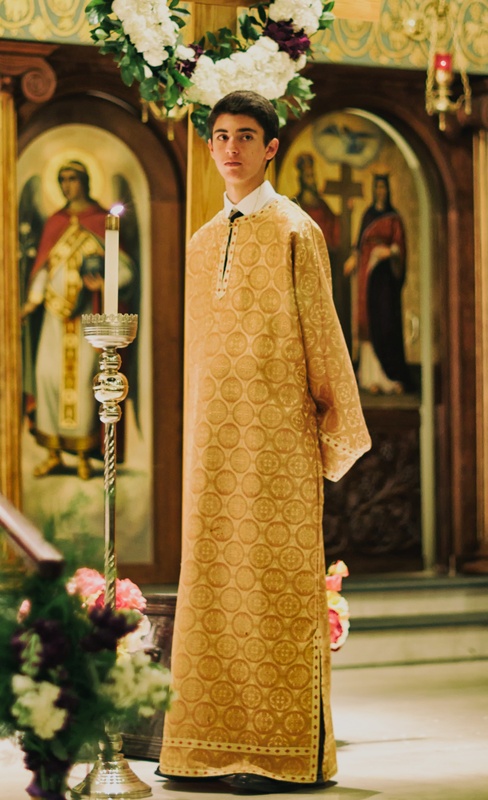 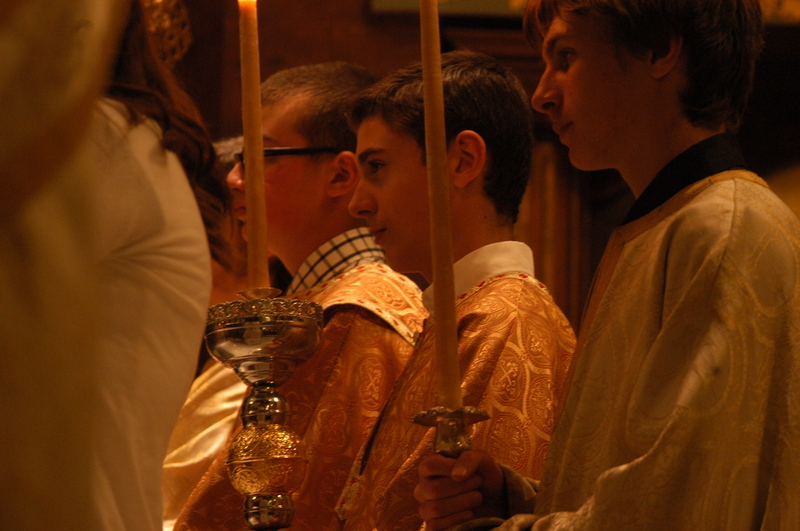 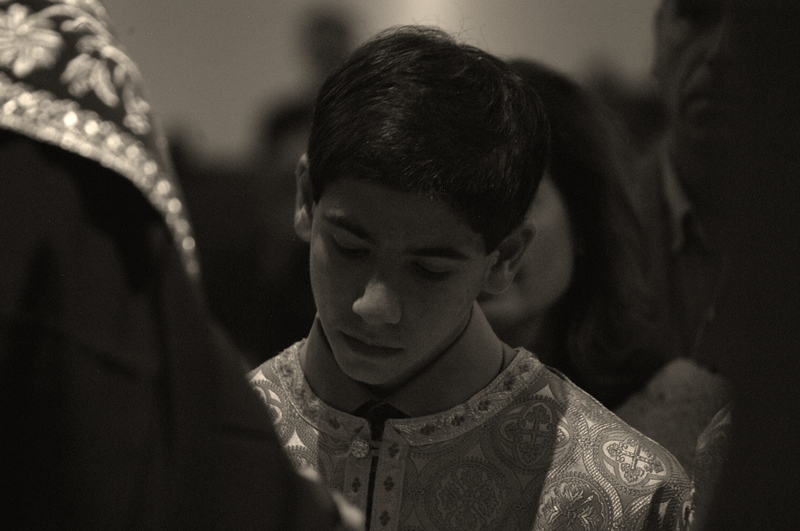 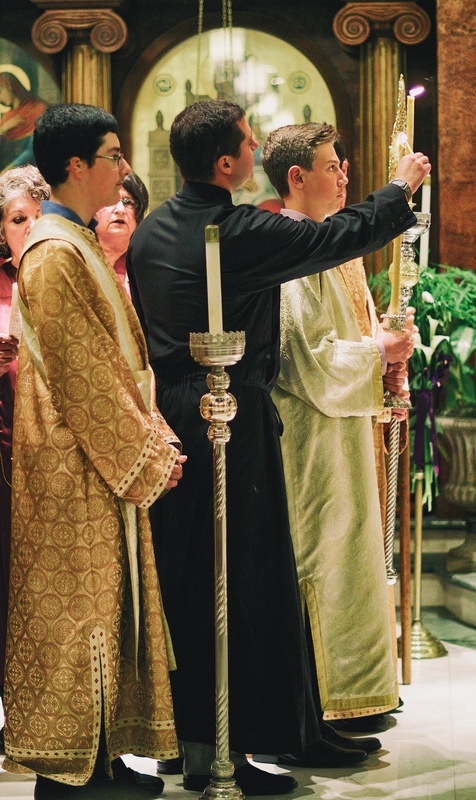 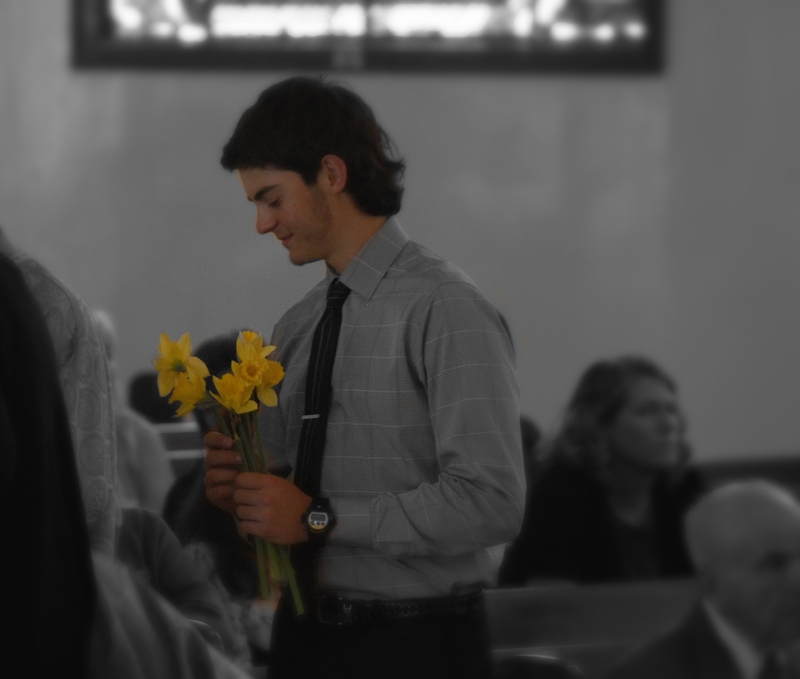 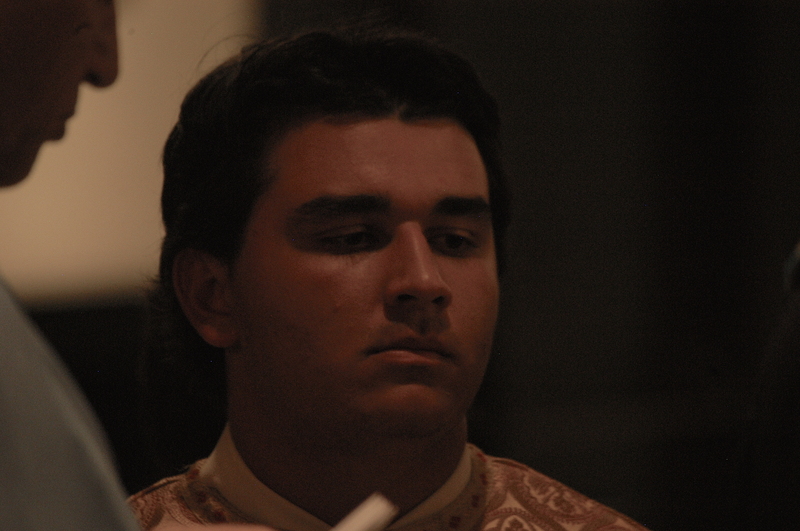 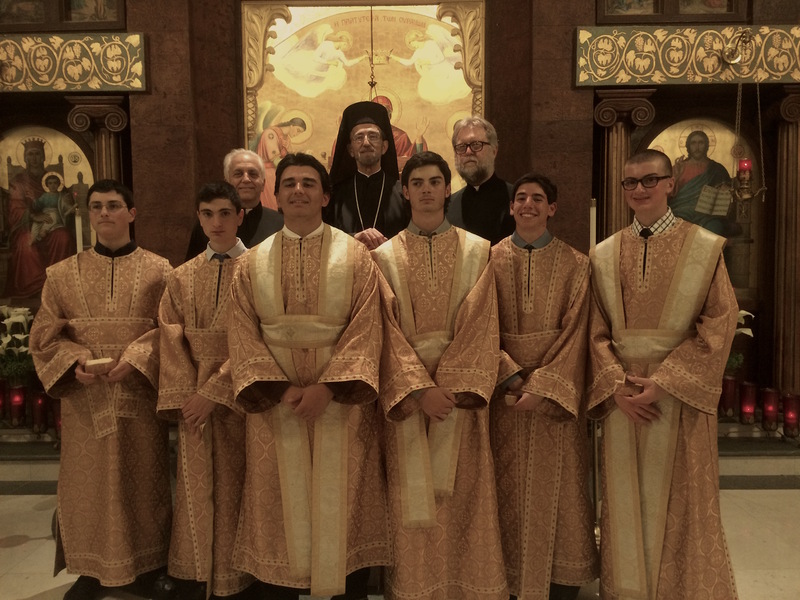 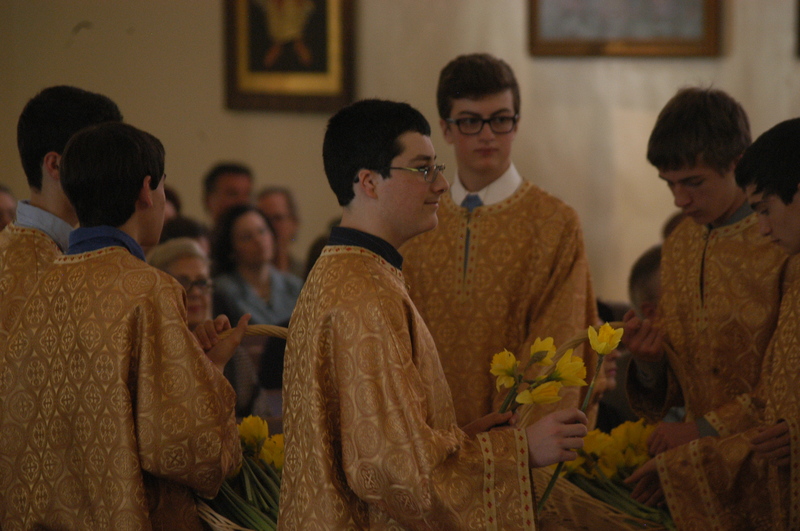 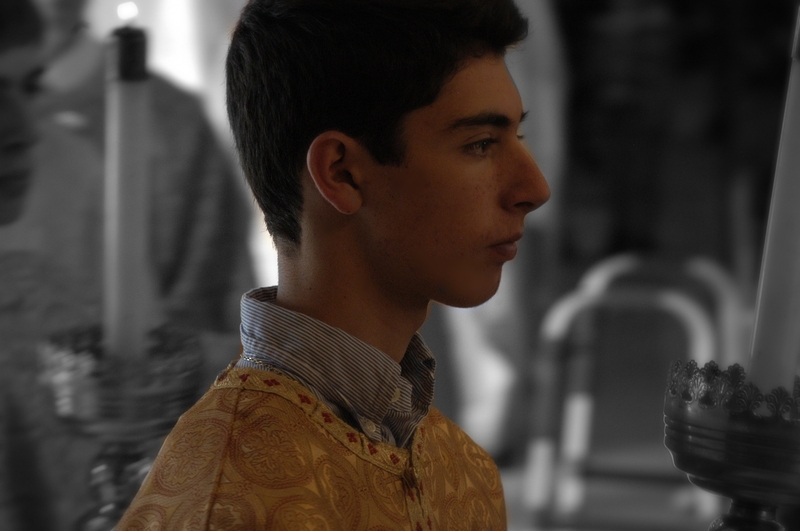 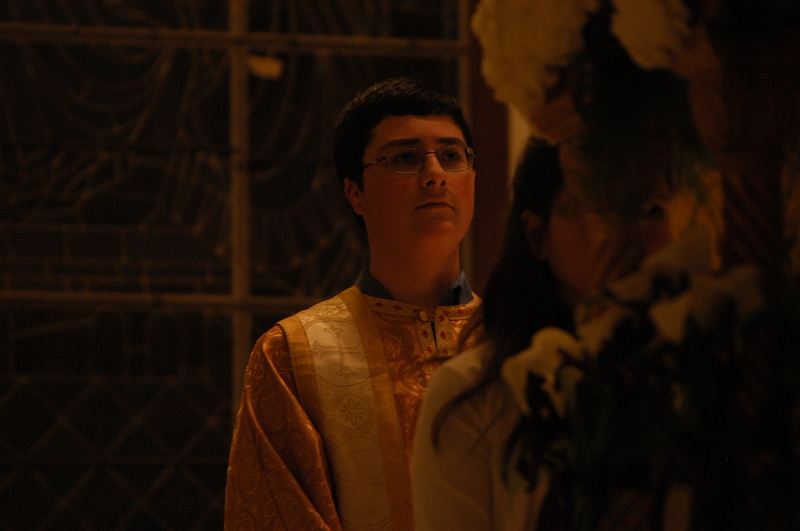 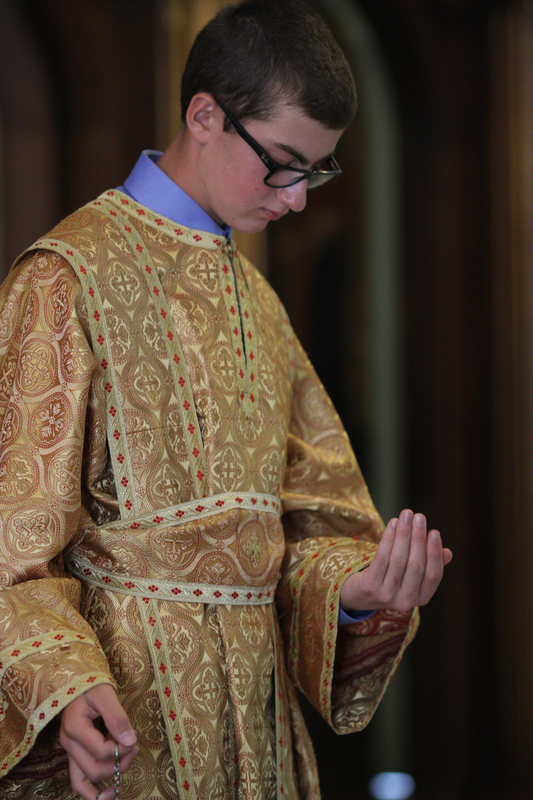 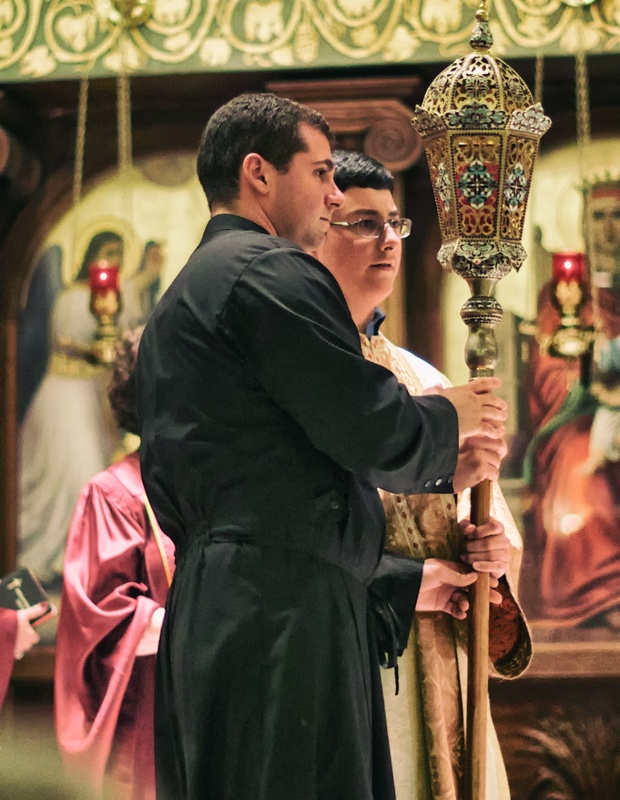 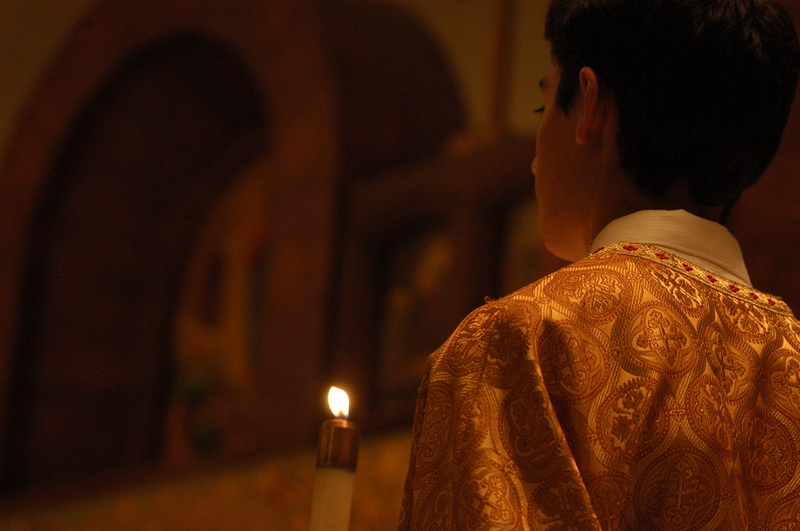 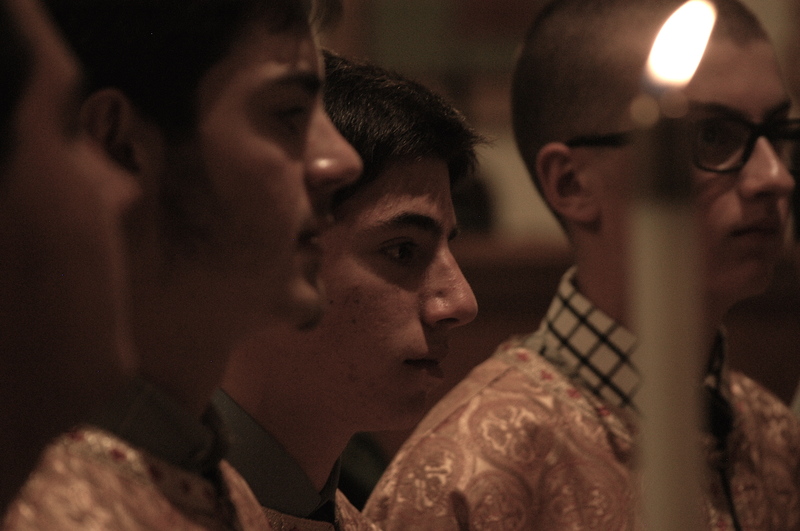 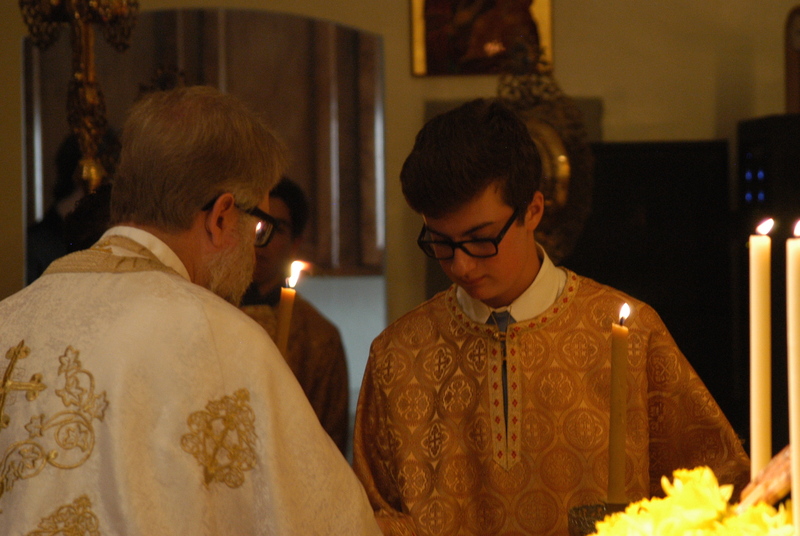 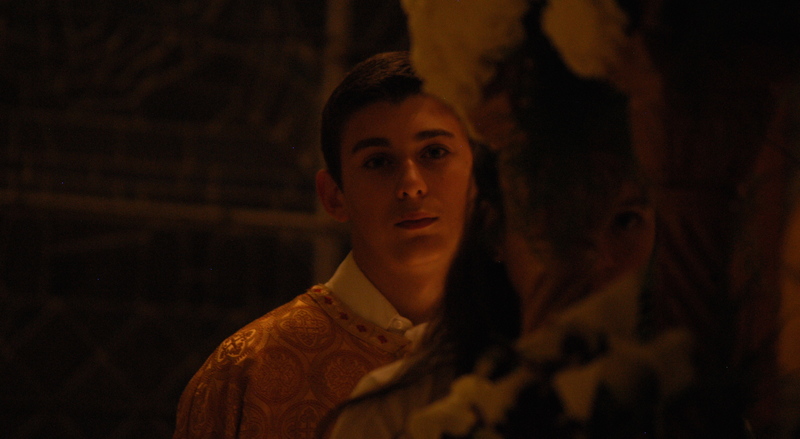 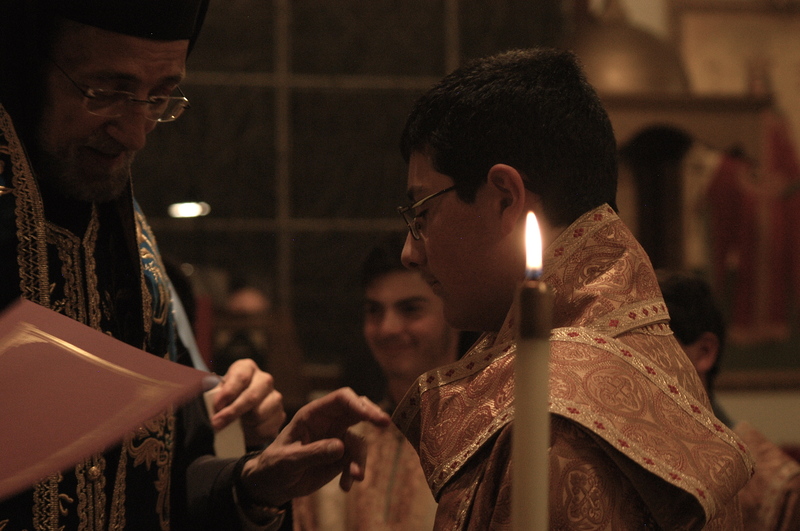 Altar servers are absolutely necessary in our complex and venerable liturgical Tradition. 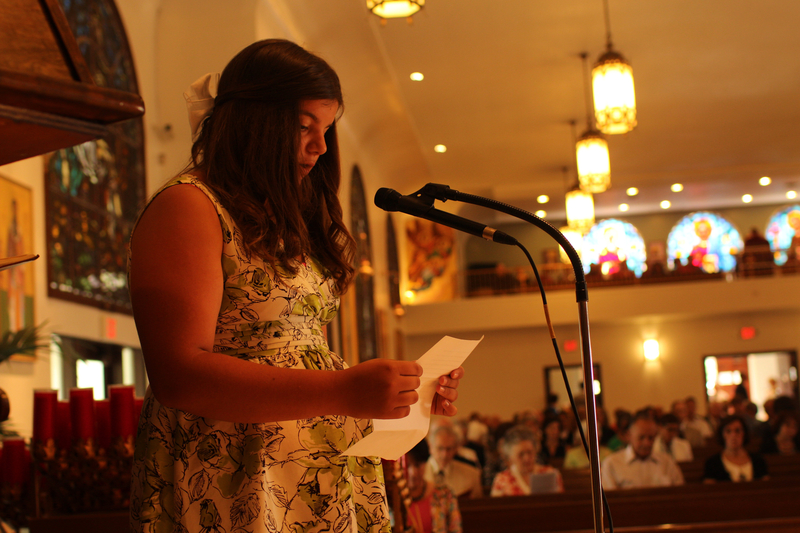 This is especially true on Sunday mornings when our sanctuary is often nearly full to capacity. 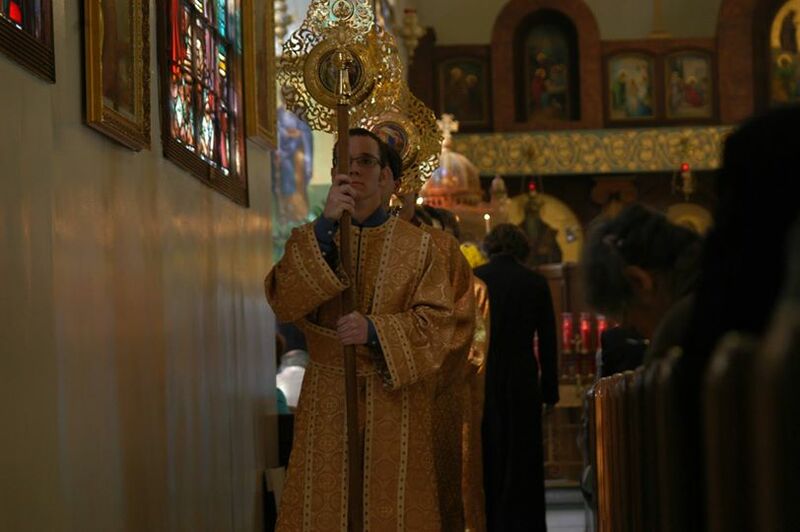 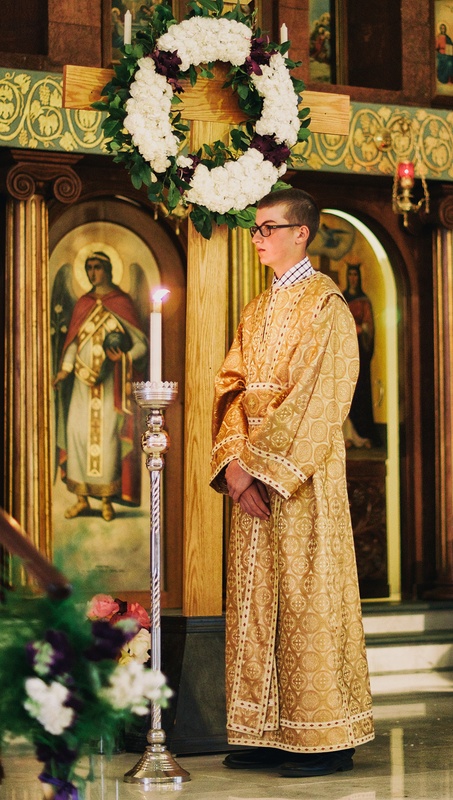 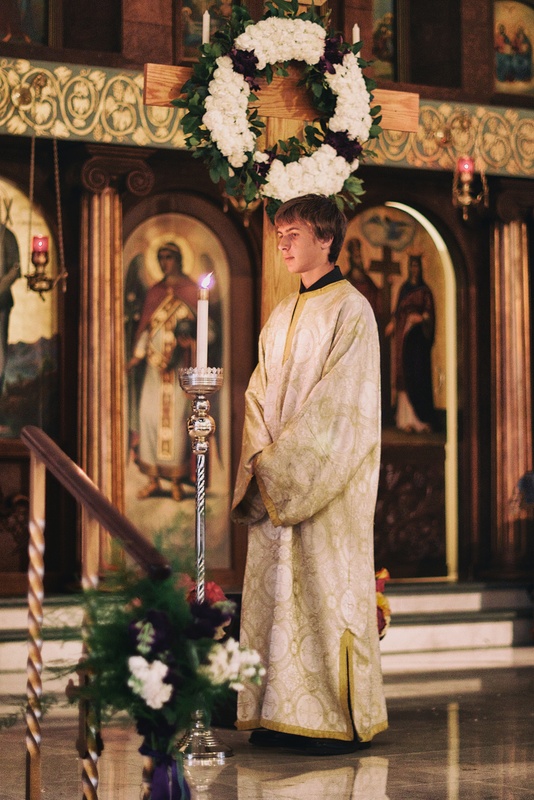 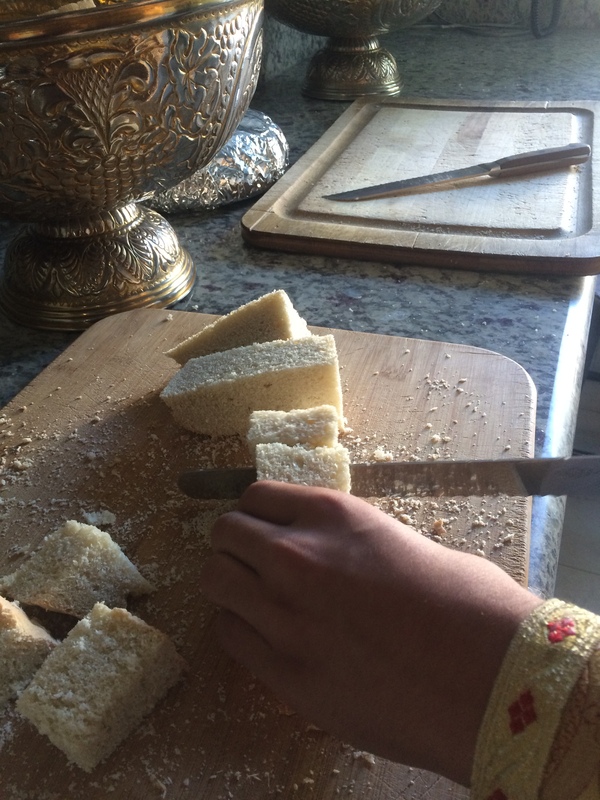 Serving on the altar is also a great and holy privilege, especially in light of the fact that our Tradition does not allow most people, male or female, to enter the altar. 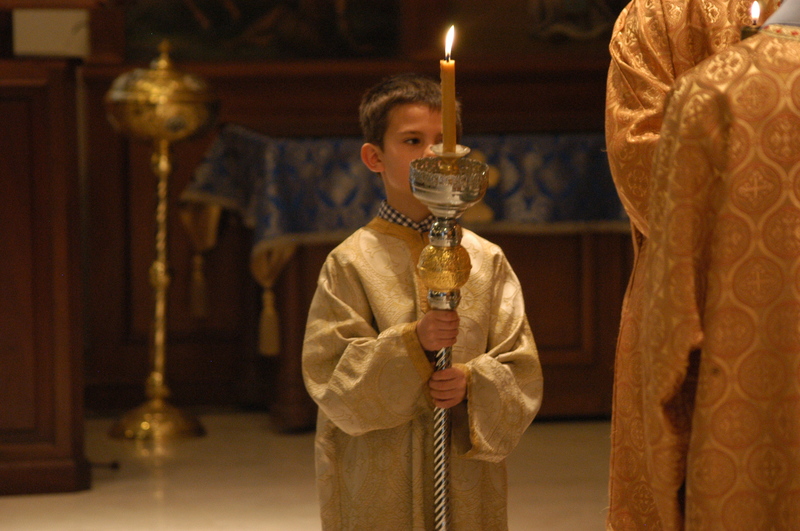 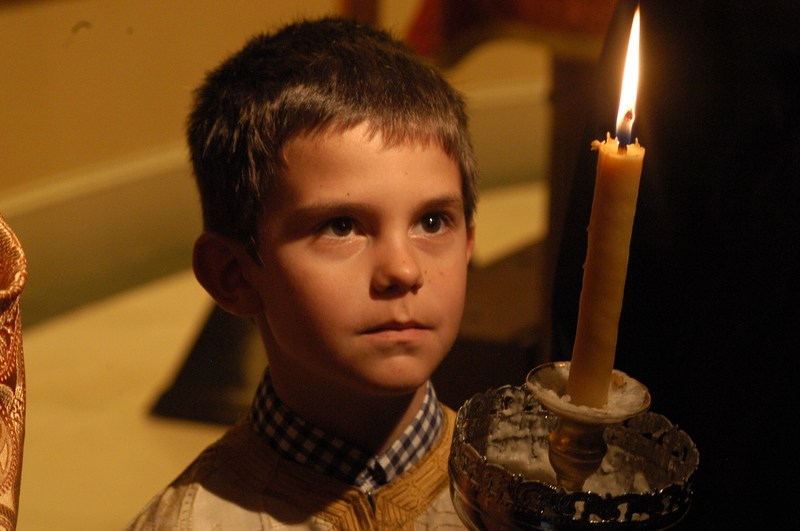 With the Priest’s approval and blessing, if they wish, boys may begin serving on the Holy Altar as young as age eight, depending on maturity. 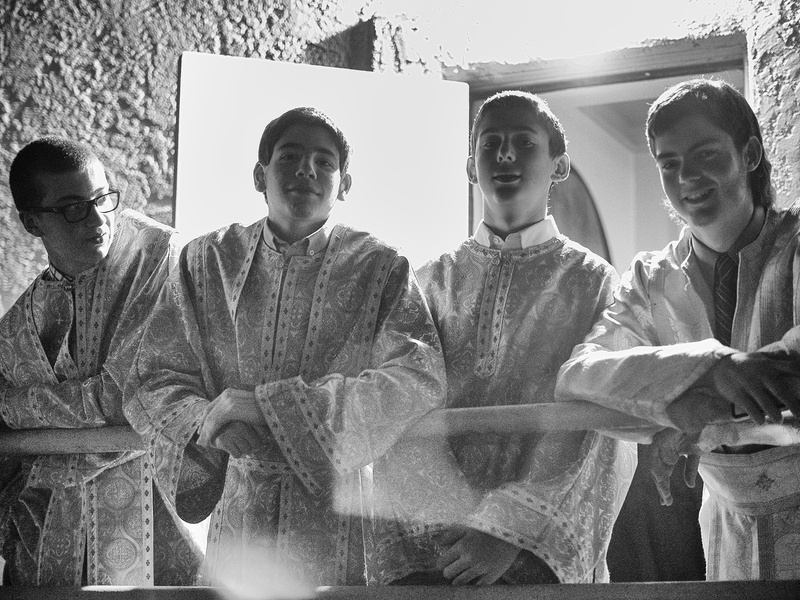 The Priests generally conduct an initial orientation session for new boys, and then the boys receive ongoing on the job training. 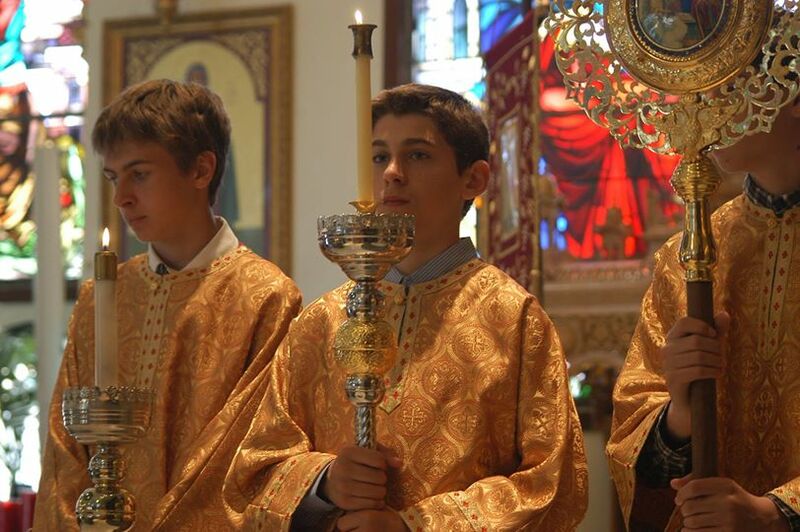 Boys are expected to arrive at services on time, help the Priests with services, and conduct themselves with dignity and propriety. 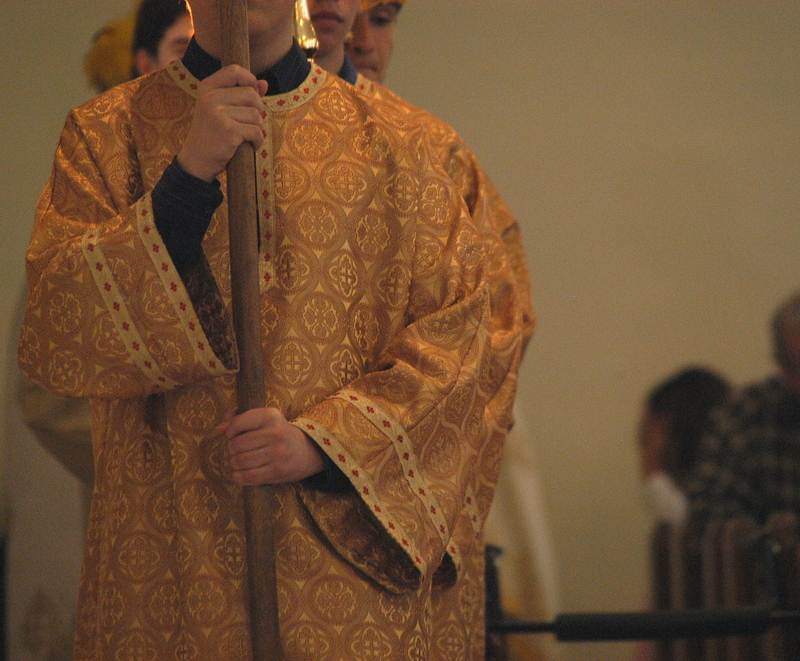 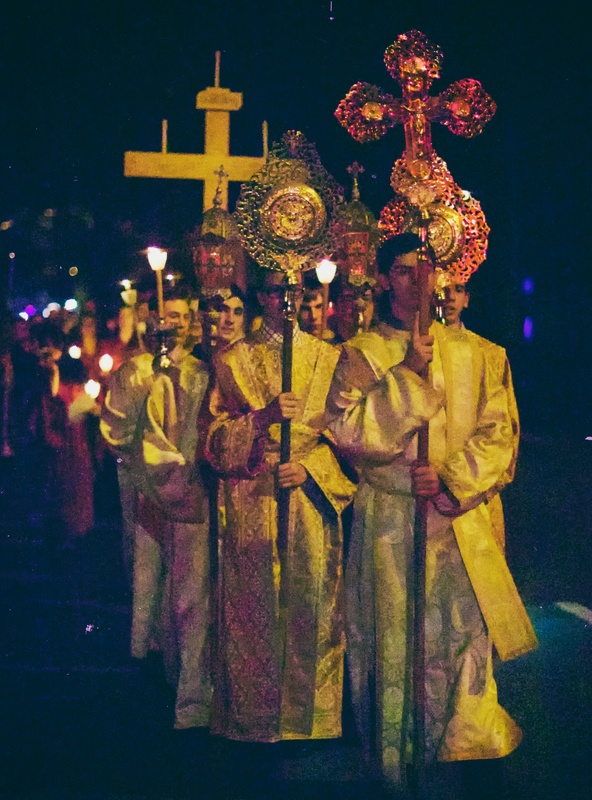 The Acolytes are generally divided into at least two “teams” that alternate Sunday service. 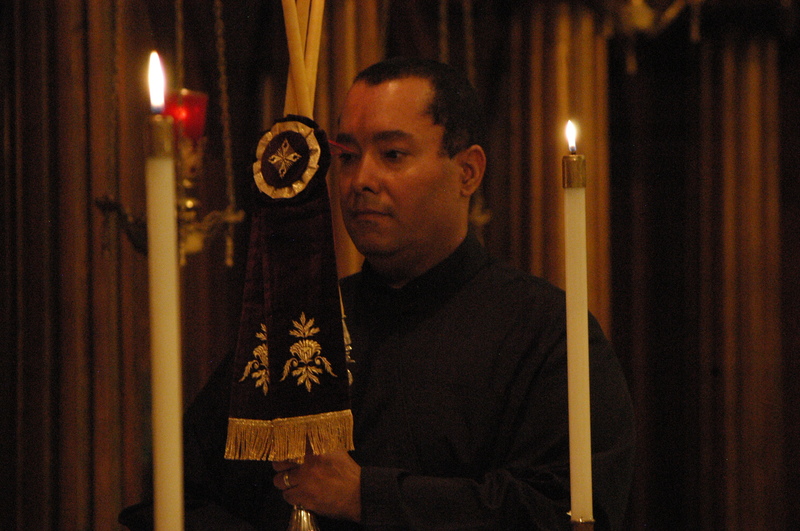 Each team has a captain appointed by the Presiding Priest. 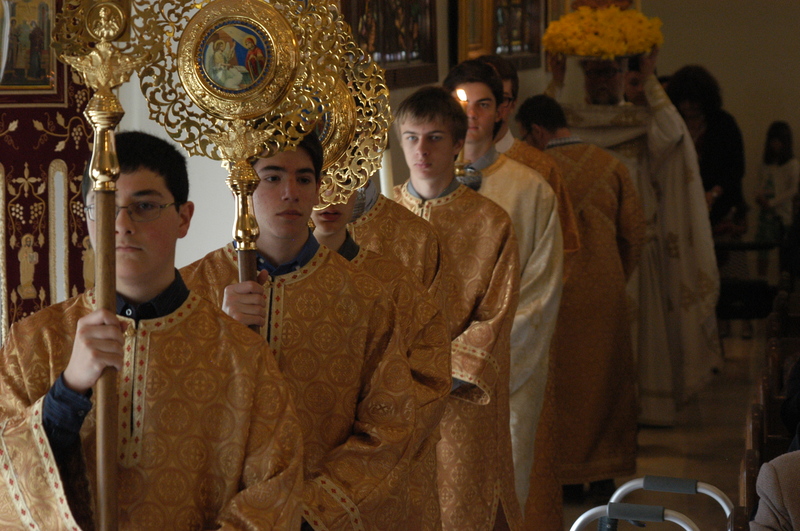 The Priests organize periodic Acolyte retreats during the year. 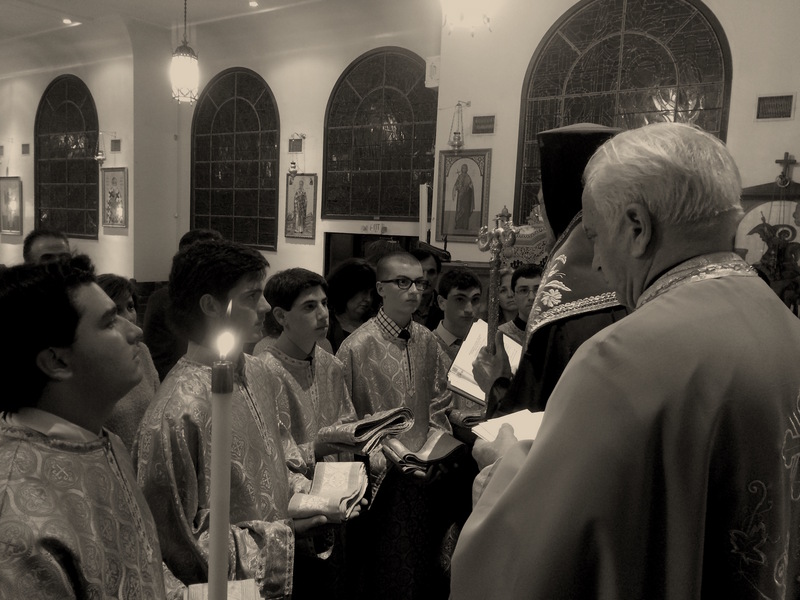 Our Metropolis also organizes regional Acolyte retreats from time to time.